With Tuesday's launch of iOS 10, third-party applications can, for the first time, take advantage of Siri voice controls. 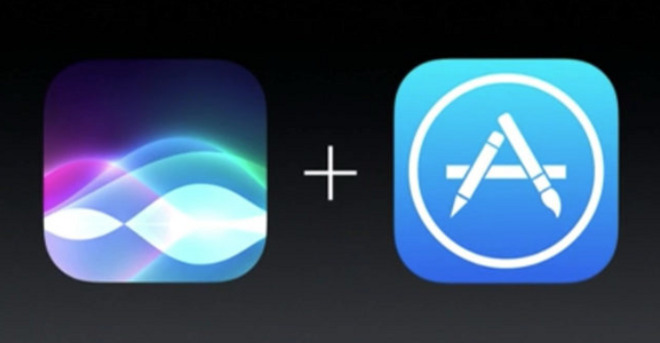 Here's a diverse list of some of the first apps updated with SiriKit integration. Beating rival Uber to the punch, Lyft for iOS now includes Siri integration for passengers. The latest version allows users to use their voice to hail a ride. According to the company, integration makes hailing a car as simple as saying, "Hey Siri, get me a Lyft to the airport." The new update also adds integration with Apple Maps in iOS 10, letting users request a ride and view updates from directly within the "Ride" tab. Lyft also supports Apple Watch integration, letting users request a ride and use the new Lyft watch face compilcation for quick access. Finally, Tuesday's update also marks a switch to Apple's own San Francisco font. Popular friend-to-friend money transfer service Venmo now boasts Siri support. 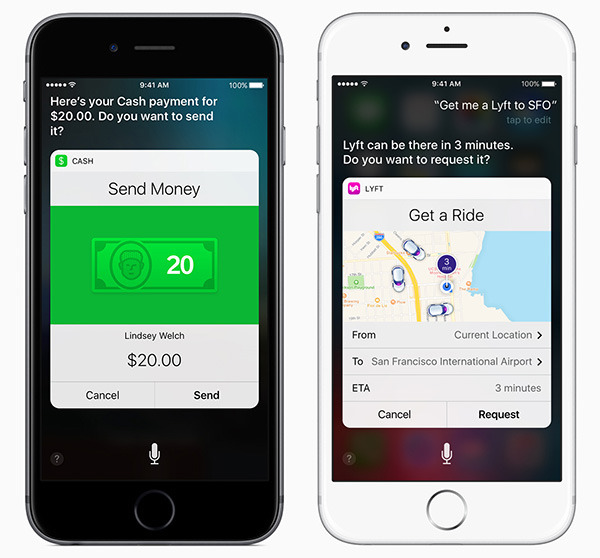 Using their voice, a user can both send and receive payments in iOS 10. The new Venmo update further leverages iOS 10 capabilities by integrating with iMessages. The new iMessages extension for Venmo also allows users to receive and send cash within the iOS Messages app. Fitness enthusiasts can use Siri to control Map My Run, allowing a new way to stop, pause and finish workouts with only the user's voice. The new Map My Run also supports watchOS 3, including running a workout in the background, tracking heart rate using the watch's sensors, and real-time splits. In one of the more unique examples of Siri integration, Discover Card now allows users to pay their balance using their voice, via the official Discover Mobile app. Support for lock screen widgets, Touch ID login, and Apple Watch is also found in Discover Mobile. Users who prefer Square Cash over Venmo can also turn to the app's latest update. Example commands include "Send $10 for tacos to Lauren with Cash," or "Request $900 from Jake for rent with Cash." The update also includes Cash for iMessage support, allowing users to quickly send money within the Messages app. And a new Cash Virtual Card numbers grants users a real Visa card number completely free, with no hidden fees, to pay for things with money kept in the app. Professional networking service LinkedIn boasts Siri support in its latest update, allowing users to send messages to others with their voice. The latest update also includes general bug fixes and performance improvements. 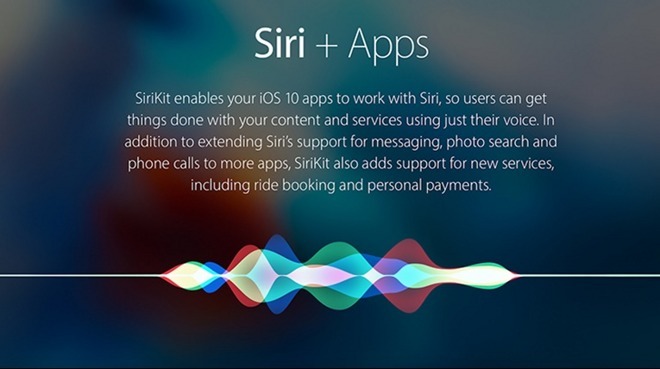 As of Tuesday's launch of iOS 10, Apple's App Store has a special section devoted to apps with Siri integration. However, not all of the options listed there have yet been updated. Noteworthy names on the list include WhatsApp Messenger, Runtastic, Canva, Cisco Spark, Viber, and Airmail.